Baby, it’s cold outside, but who thought that hell itself would freeze over on President Trump’s inaugural anniversary? Yet, it has! When liberal rags like the New York Times blame Democrats for anything, you know they are ice skating in hell. "No compromise?" Are you hearing yourself? Democrats don't want a compromise. They want their way. All of it! DACA does NOT have to be dealt with to keep the govt open. It doesn't expire until March. 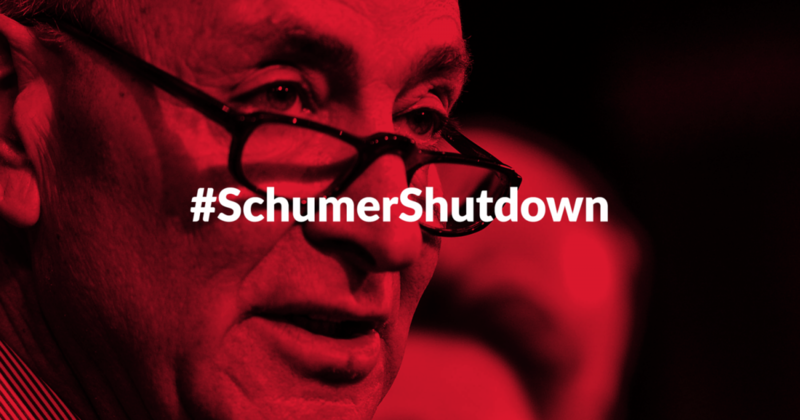 Love the name that is sticking like glue – the Schumer Shutdown! You own it! What you are not getting is the fact that the Republicans "control" the Senate only in majority votes. This vote required a supermajority (60%). The GOP enjoys the slimmest of margins in the Senate, 51 to 49, NOT 60%. You didn't know that? The AP is also reporting the truth….